Update: On September 3, 2014, it was announced that the vendor responsible for the cell tower project withdrew its proposal to the Naperville school district. It is thought the growing public opposition to the towers may have played a role in this action. Possibly the information on this webpage will be of use to others where cell towers are proposed in the future on school grounds. Last November, National Wireless and AT&T approached District 203 for permission to erect a 100-foot pole near the water tower behind Lincoln Junior High in Naperville, Illinois and a 75-foot pole at the front of Kennedy Junior High School in Lisle. The latest Board of Education meeting was held on July 21st. Naperville School District 203 officials reiterated that no recommendation on a cell tower proposal will come before the board until at least September. The first speaker mentioned that his son was the vice-president of a wireless company (with a cell tower near the corporate office) and died of an inoperable brain tumor at the age of 43 (at 1 minute 15 seconds). 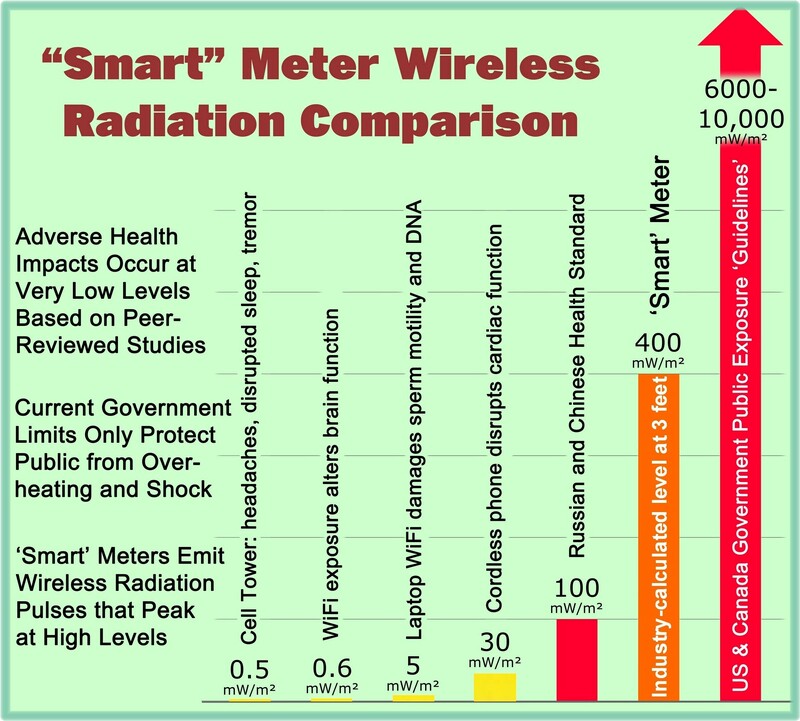 The second speaker mentioned that based upon his research, the school district or its staff has done no research whatsoever regarding the possible health effects of the proposed cell towers (at 2 minute 35 seconds). “Your objective is, has, and always will be to minimize the potential risk to your students. This is a risk which is completely avoidable. This is a risk that has come to you. And why? For money.” (at 3 minutes). The third speaker mentioned that the proposed cell towers are not aligned to the core values of the school district (at 4 minutes 45 seconds). The fourth speaker (representing a homeowners association) mentioned that the primary reason to oppose the cell tower is “safety.” “We don’t want any children to be at risk, not even one.” (at 6 minutes 25 seconds). The fifth speaker mentioned about the possibility that in a couple of years a scientific study could be published indicating a health impact that is not known today. Would the district “stop the cell tower from emitting”; would the district have that ability as a part of the lease? (at 8 minutes). The speaker also mentioned that “we’re actually contemplating putting a cell tower for AT&T within a hundred feet of a middle school. That seems absurd when I hear it.” (at 9 minutes, 50 seconds). The superintendent of schools mentioned that the proposal for installing two cell towers on district property is still in the “fact finding and information gathering mode at this time.” (at 11 minutes). Although the entire video is part of the public record, SkyVision Solutions generally edits out the personal names of the members of the public for their privacy when placing videos on this website. This entry was posted in Smart Grid, Smart Meters, and RF Emissions and tagged Cancer, Cell Tower, Health Effects, RF Emissions, Schools. Bookmark the permalink.